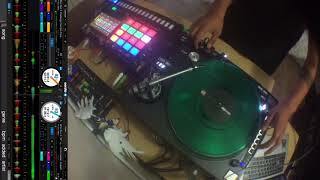 Login or Signup to comment on DJ Rolmix Brotherz's video. Nice. Complex use of the samples. I also like the facial expressions at the beginning when you looked at the camera - Very much like early DMCs. You look cocky, but then you have the skills to back it up. Wooooowwww bro... Haitian like me, c an bon kreyòl pou m fe kòmantè pa'm nan bro!!! Bon bagay uiii.. Menm si m konnen se pleyonas map fè lol! Wow tight. I can't follow some of those finger movements - so fast! Well done! Great energy use of samples and scratch vocabulary! Bro you came out the gate Runnin' it!!!!!!!! I Ain't Mad @ U!!! Great flow and creativity! Dope! Love the energy!!! great cuts too!! Very smooth... You make it look easy! This is a very creative and well-rounded routine.